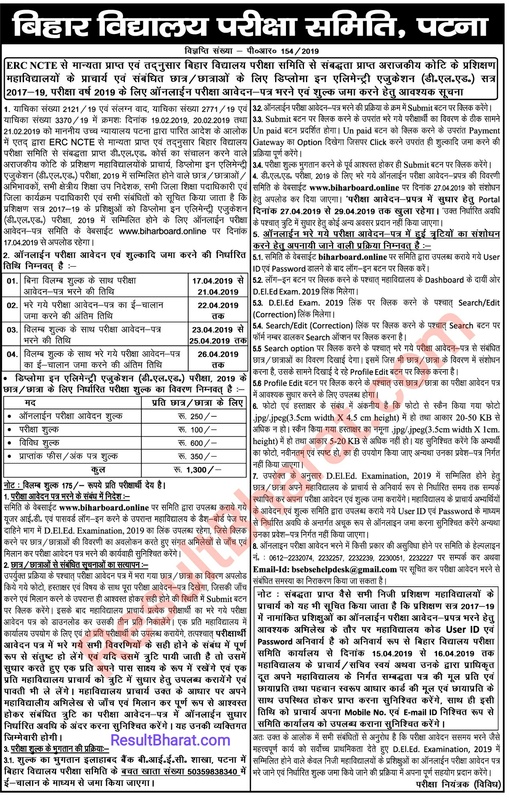 Short Information : Bihar School Examination Board BSEB Patna Are Recently Invited Online Application Form For Diploma in Elementary Education D.El.Ed Examination 2019 for Session 2017-2019. All Eligible and Interested Candidates Can Read Full Notification Before Apply Online Now in The Given Link Below. Go to menu and click D.El.Ed Exam form 2019. Make the payment of students for Online Examination application form. Take the printout of the confirmation page of each students for further use.